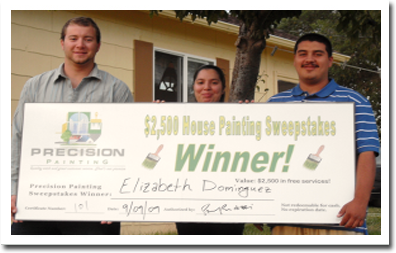 E mail us your name, email address, phone number, best contact method and how you heard about our painting sweepstakes and you are entered to win $2,000 in free painting services! Two lucky winners will receive $250, one second prize winner will receive $500 and one grand prize winner will receive $3,000 worth of free services! The deadline to register is June 30 and the winners will be announced in July. May we contact you about exceptional saving offers?